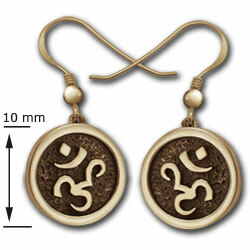 Om is a mystical or sacred syllable in the Hindu, Jain, and Buddhist religions. It is placed at the beginning of most Hindu texts as a sacred exclamation to be uttered at the beginning and end of a reading of the Vedas or previously to any prayer or mantra. 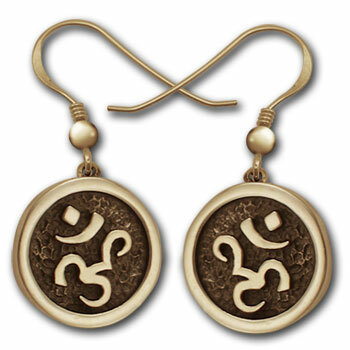 Modern yet classic, our Om Earrings are solid, elegant and enduring . 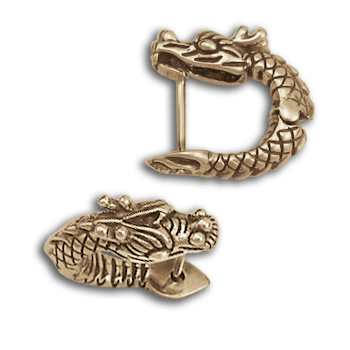 Cast in 14k gold and oxidized to accentuate the detailing. 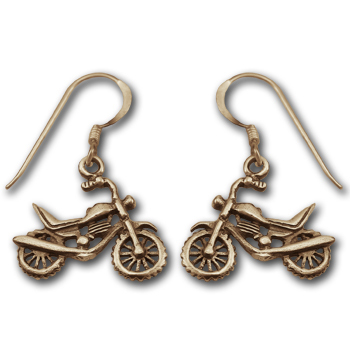 I ordered these because I am a budding Buddhist you might say and I wanted a pair of earrings that expressed that but were also feminine - I hit the jackpot on this site! These are very well made and I especially like the textured detail on the darker background. Hooks instead of posts is a plus too! I will be back to shop here again soon!